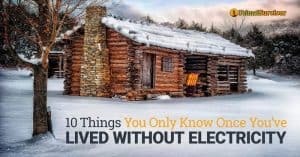 Most of us know by now that it is possible to go 100% off-the-grid with your home. 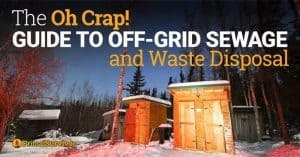 We also know the many benefits of going off the grid: It’s better for the planet, your utility bills are cheaper or free, and (as disaster preppers know), going off grid frees you from dependency on the vulnerable power grid. 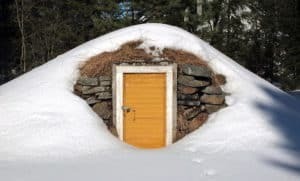 However, most of the off grid homes we see are either really rustic (think outdoor latrine) or really complicated (think expensive wind turbines and other systems). Luckily, there is a really strong off-grid movement going on around the world. 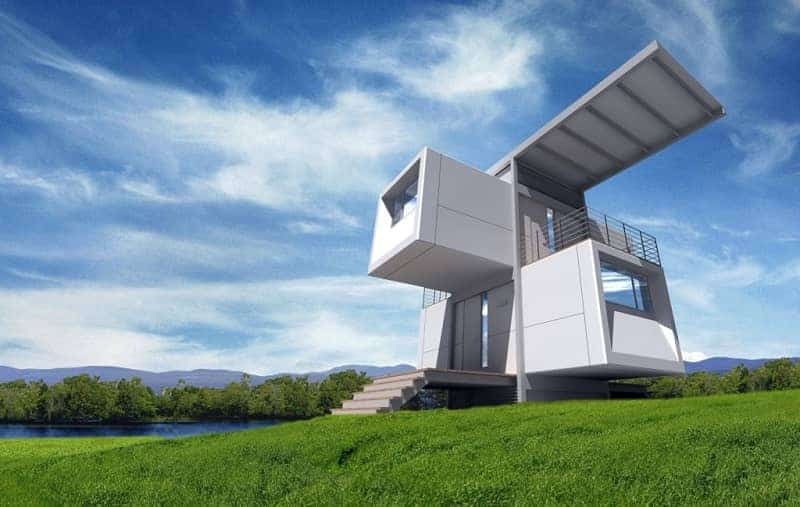 Many architectural firms are making prefab off grid homes. That means you can order your home and move in almost immediately. 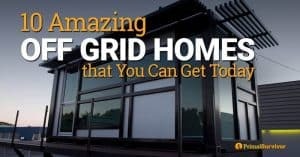 Are these off grid homes perfect? No. Would it be better to build your own off grid home to your specifications? Probably. 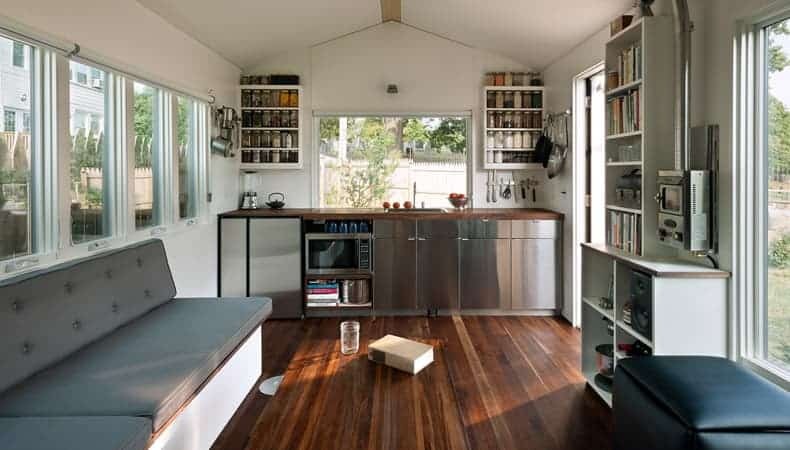 But these prefab homes show that it is a lot easier than you probably thought to get off the grid. 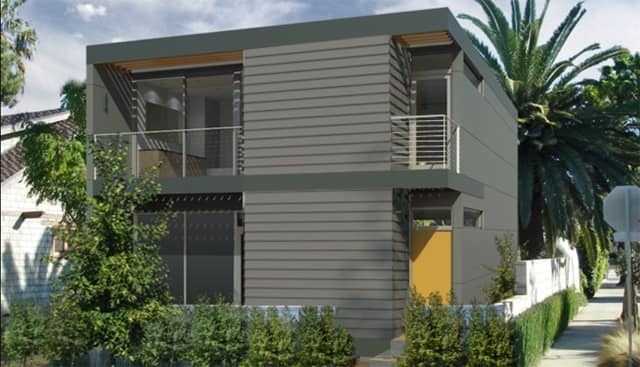 This firm offers a really large selection of prefab homes that are designed to be eco-friendly. They aren’t off-the-grid by default. However, they have a “Zero 6” vision in which they work to get the energy and waste loads of a home down to zero. This makes it really easy to turn one of these prefabs into an off grid home. Learn more here. These prefab homes are also targeting the eco movement, which happens to mean that they are great for those wanting to live off grid. They are prewired for solar and made with super-efficient features. 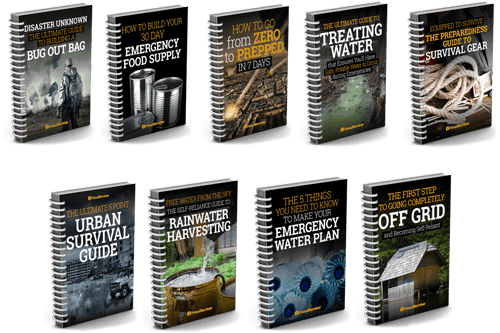 There are options like grey water, off grid septic, and more. Learn more here. 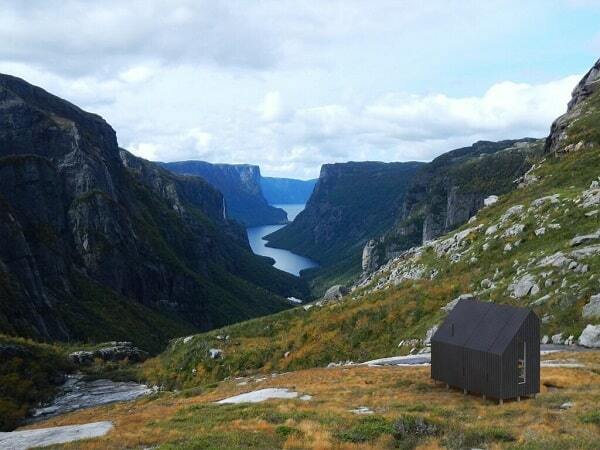 This prefab cabin can be shipped almost anywhere in the world. Aside from being portable, it includes off grid features like rainwater catchment, a wood stove, and is designed to last a lifetime. Learn more here. 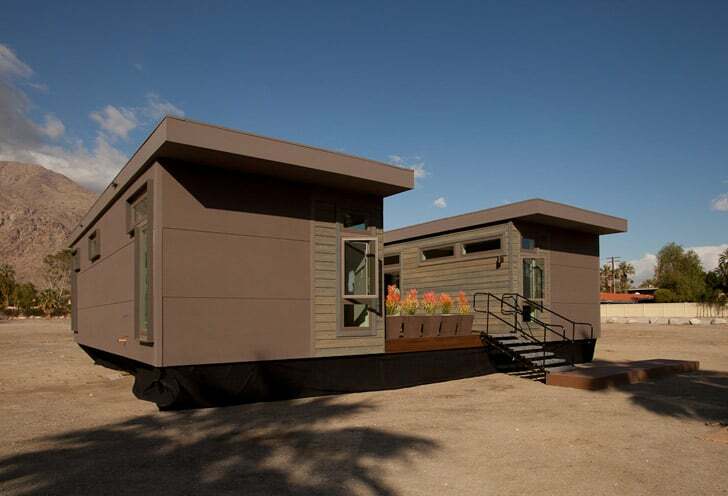 Ferris makes prefab custom homes in California. Their off grid home option includes solar and are zero-net. Learn more here. 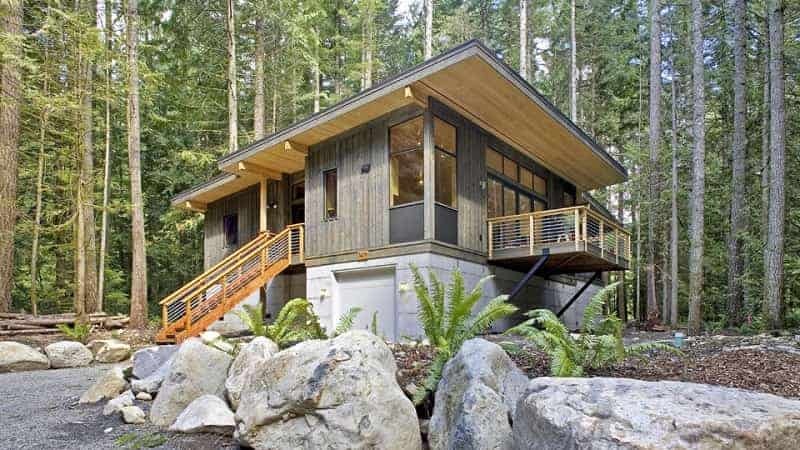 If you are on a really tight budget and want an off grid cabin, consider Green Modern Kits. Their prices are around just $30,000. For that price, you can get a Zero-Net home with solar. Learn more here. This is a spinoff of Living Homes. 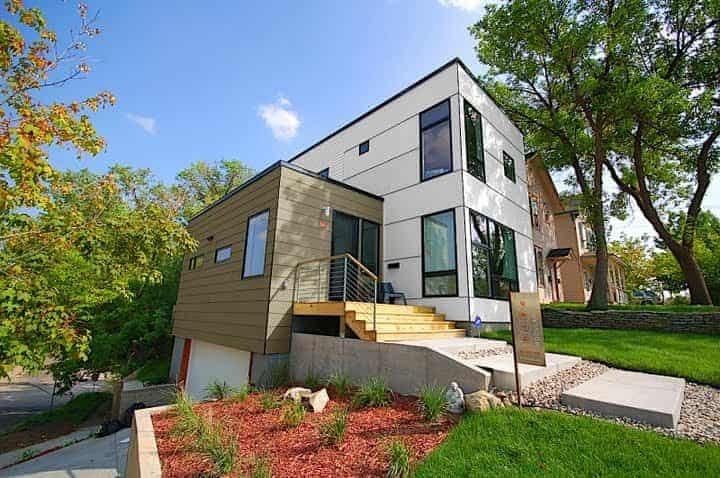 They way that it works is that you first choose one of their prefab home designs. Then you work with your architect or one of their design partners to adapt it. The original prefab designs aren’t completely off-grid (the focus is energy efficiency). However, you can adapt them to be off-grid if you wish. You can learn more here. 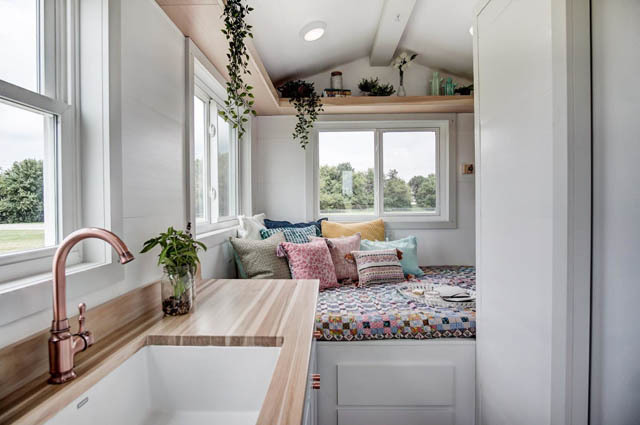 The prefab home company Modern Tiny Living specializes in tiny homes. Their layouts are very practical and have cool features like being able to transport your home as a trailer. 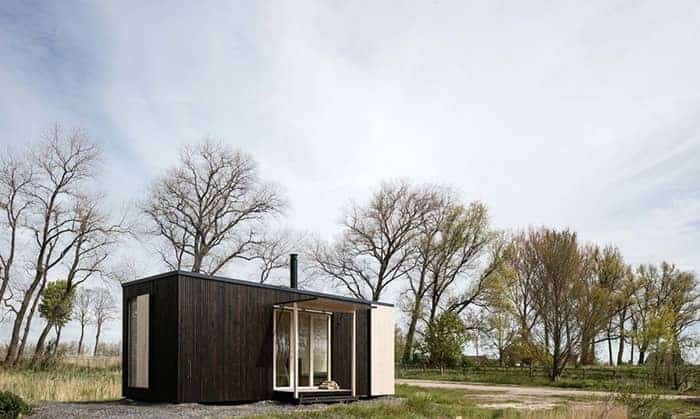 The Nugget is currently their only prefab design which has a complete off-grid package. It includes a 100 gallon fresh water tank, propane heater, solar system, and energy-efficient building. It’s only 12 square feet but includes a kitchen with sink and cabinets, shelves, storage, and a stowaway bed. The price starts at $39,000. Learn more here. This Canadian company delivers your home stacked on a pallet (like you’d get IKEA furniture). There is a modular system so you can adjust the size from 1 module (206 square feet) up to 4 modules (845 square feet). They deliver to almost all over North America. If your location is hard to access, they’ll even deliver the home with a helicopter. Prices start at around $77,000 (USD). Learn more here. 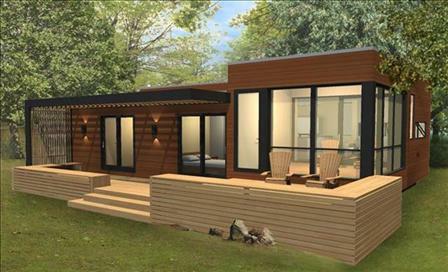 This is a really cool prefab home company based in Jamaica, Vermont. They specialize in tiny homes, cabins, and storage spaces. As for off-grid options, the Solar Cabin is one of the best offerings. It comes with a wood stove, gray water sink system, and other features which allow it to be 100% off-grid. Prices start at $29,800. They also have other 100% off-grid prefab homes. Their homes can be delivered to the continental USA and parts of Canada. Learn more here. 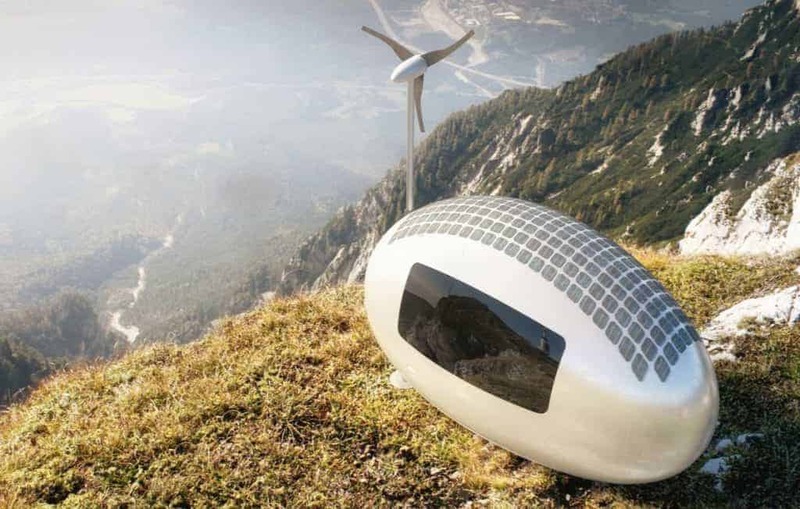 Is the world ready for off grid living in a tiny egg-shaped home? I guess so, because the Slovak company who makes Ecocapsule has been a big success. The Ecocapsule doesn’t need to be plugged in at all because it runs completely off the grid on solar and wind, and collects rainwater. It costs 79,000 Euros to buy, plus VAT and shipping/customs fees if you are outside of the EU. Learn more here. ZeroHouse is a small, prefabricated off grid house which can be shipped and put together very quickly. 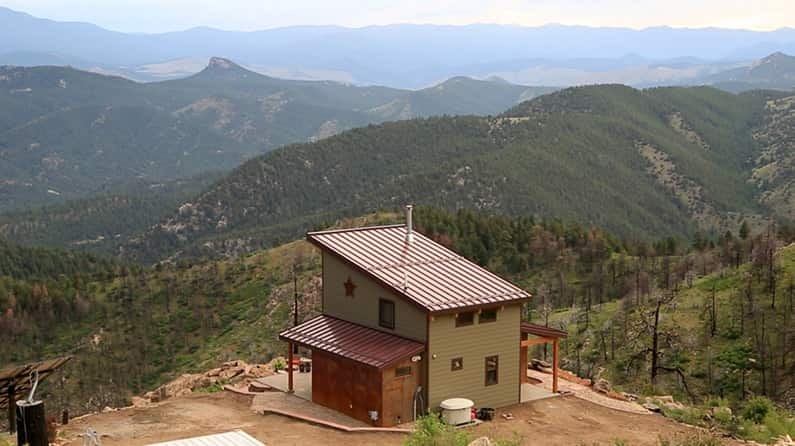 Some of the cool off grid features of this home include: Solar panels plus its own power bank, Rainwater collection system, a “Digester” below home turns waste into compost, and all off grid features run automatically and are fully customizable. Since publication of this post several of these companies and suppliers have gone out of business. We will leave them here as they remain interesting as concepts. Hive Modular homes have gotten a lot of attention in architectural magazines because of their unique design. Even though they are compact in size, the design makes them seem large. The homes are marketed for their eco-friendly materials and process, but you can also get off-grid features as add-ons. These include: Geothermal, solar, green roofs, and rainwater collection. This company now appears to be out of business – website is unreachable. 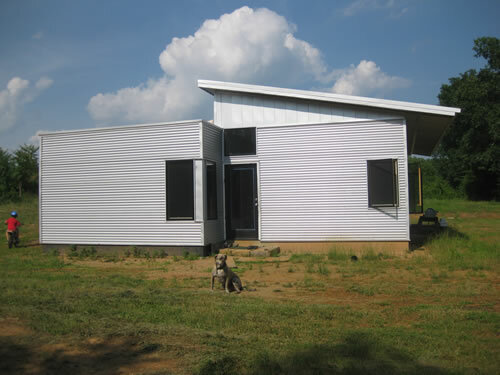 The company Cabin Fever makes prefabricated homes and commercial buildings. They offer an Off-the-Grid package which includes options like a house battery bank, rainwater catchment system, compost toilets, solar panels, solar water heaters, and windmill. 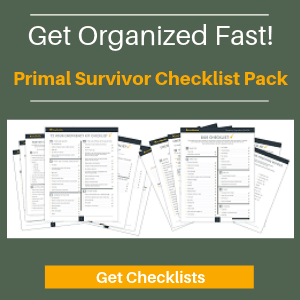 The build time is typically just 6-8 weeks to get your off grid home built. Learn more here. This company now appears to be out of business – website is unreachable. A basic Minim Home is estimated to cost about $70,000. That includes everything for the home including shipping the container. Aside from being sustainably small, there are off grid options like water, sewer, and electric. This company now appears to be out of business they are not taking orders and website hasn’t been updated recently. Grateful for any information that you can provide regarding sustainable living. We are looking for land to purchase at the moment and then we will obviously be looking at house plans to build !!! My mom left me off the grid property in Cave Junction Oregon! Help! Need to strat the process to build my home there! Hi Darlene. Tons of info around on the net – what specifically are you looking for? I am currently designing a home that is 100% off-grid, and generates most of its power through a pedal-cranked generator (stationary bike) wired to a bank of NiMH batteries with solar as a backup. The generator would also power a water pump that moves water through pipes to absorb waste heat from the batteries and channels it through the walls to heat the home in winter and through inline water heaters in the summer to keep the house cool. What other ideas can I incorporate into my design? Hey Robert – sounds like an awesome set up. Have any readers got any more suggestions for Robert? Are there any contractors that are recommended that can provide full services to design and installation of off-grid homes? I think the hardest thing is understanding the full cost and system requirements – is there a firm that helps through the entire process? 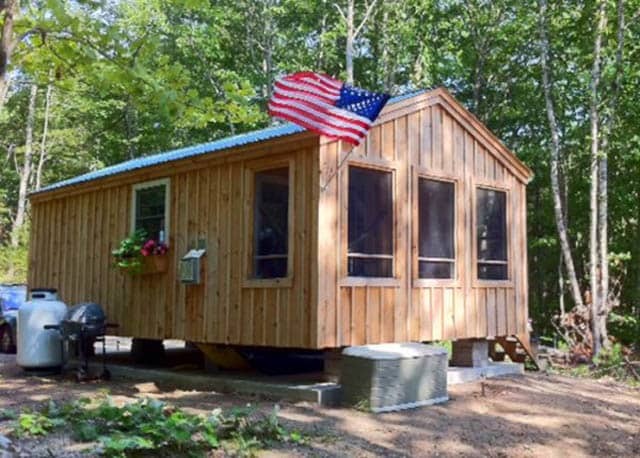 Many people see these pre-fab homes but are still a little lost on everything it takes to get a rural piece of land without any utilities to their new homestead or cabin retreat. There must be highly rated companies out there that specialize in this…but I can’t seem to find any. Open to recommendations. Thanks! Not aware of any specific company but as you say they must be out there. Any readers know of any? 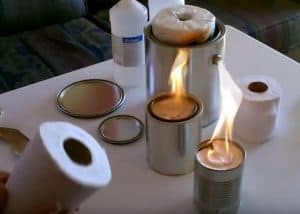 Looking for a way to have running water in a cabin that is off grid. looking to move out of the city , an buy some property, build a cabin , solar panels ,extra. off grid. I’m having a well drilled with a wind-driven pump (windmill) with gravity-fed storage tanks. I’ll let you know how it works out. Would love to know how this works out. Looking forward to an update.